Recognized as one of the Twin Cities’ best drink makers, Johnny Michaels is the cocktail connoisseur’s answer to a gourmet chef. His home base is the James Beard award–winning La Belle Vie, but he’s designed the cocktail menus for several of its sister restaurants and other top metro eateries. Together with premiere bartenders such as Pip Hanson, Nick Kosevich, Jesse Held, Thea Sheffert, and others in the North Star Bartenders’ Guild, Michaels shares nearly 200 original, crafted cocktail recipes utilizing fresh fruits and vegetables, tips on barkeep techniques and tools, and guides to artisanal liquors and bitters. 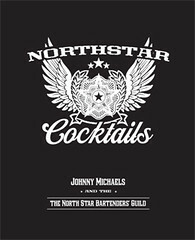 Join us Thursday evening at the Mill City Museum to sample craft cocktails and meet Johnny Michaels and members of the North Star Bartenders’ Guild to celebrate the publication of North Star Cocktails. 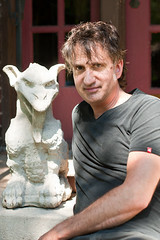 Johnny Michaels and five other members of the guild will be on hand to mix their cocktail recipes featured in the book. Participants will receive a voucher for three half-size cocktails with paid admission and can purchase vouchers for additional cocktails. Pip Hanson of Marvel Bar will conduct a demonstration of hand ice chipping. Nick Kosevich of Bittercube will deliver a tutorial on the art of handcrafting artisanal bitters. (See today’s feature on The Heavy Table for more on Bittercube.) Dean Phillips will have a memorabilia display highlighting the history of Phillips Distilling Company and its deep Minnesota roots. Complimentary light hors d’oeuvres will be served. North Star Bartenders’ Guild members will sign copies of the book, which will be for sale in the museum store. All author royalties earned from the sale of the book will be donated to SPCA International, an organization committed to advancing the safety and well-being of animals. For more insider tips, check out the Star Tribune and City Pages interviews with Johnny or the School of Drinks series with MplsStPaul magazine.